Attention to detail and great fits are what we offer with Silver Jeans. If you are a Silver Jeans girl, you LOVE your Silvers'. 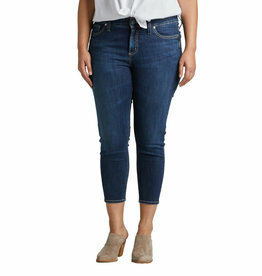 This plus size jean brand has a higher rise than their regular size counterparts and several styles that hug a curvy girl in all the right places.